I will begin this post, as I do most conversations in life, with an (overly) revealing personal insight. I became an intelligence analyst for many reasons: the enjoyment of solving complex problems, soothing anxieties and empowering those exposed to risk, and to continue learning about and traveling the world. The remaining draw, and a surprising proportion of it, sprung from the perception that as an analyst, I would have relatively little reason to dedicate extensive energy to keeping up professional-social networks. I assumed my colleagues would be a similar group of quietly diligent introverts and the work would be mission-oriented and require hyper-focus. No endless rotation of suave sales lunches necessary. This was the independent person’s dream job. I succeeded for a long time in working, for the most part, intensely and in isolation. However, as I began to advance in my career it became clear that the intelligence field is not special in basic career principles, like upward opportunities requiring less of the tactical skills that set you on your path in the first place. As a Program Manager in Microsoft’s Center of Intelligence, much of my focus is on motivating a team towards a shared vision. I am still amazed at how much time and energy it takes to do this. It took me a while to get settled into a management rhythm and one of the first things I noticed when starting out was how few peers I felt I could turn to and how little practical training there was. As our field grows, management opportunities are increasing. My aim here is to open a conversation about intelligence management in the private sector, especially in a larger organization. In my initial role as a manager, for years in fact, I argued to retain regional analytical responsibilities out of a discomfort with moving away from task-oriented work as an independent contributor. I clung hard to the tangible list of reports written. In case you missed that, I actually argued for more work for years. In many ways, this setup was what I needed to baby-step my way out of my comfort zone. I am proud of what I achieved. I matured and worked harder than ever, gaining a new respect from my peers–turned-reports. Looking back though, I made life far harder than it needed to be. My fear of relinquishing the subject matter expertise, and the task list of reports that proved it, stunted me from seeing my own value in a different way. As a manager, particularly in middle-management, your priorities can be elusive. You’re the one who must fuse the interests, skills, needs, questions and so on of your team with top-down strategy from leadership and the broader organization to execute on a plan. It can be easy to feel that despite your best-laid plans, you’re the team Monkey in the Middle. A couple of years ago, when a partner organization started a massive new cross-functional project, as Intel’s manager I was added to a seemingly endless lineup of project meetings and a growing list of demands for knowledge, databases, and so on. Much of this was run through external consultants that had little context on my group’s function and role. There is not much that demotivates me more than feeling like I don’t have considerable control of my day-to-day. This project was a wakeup call. I could no longer rely on my natural defaults of nice and flexible. If I were to continue to develop myself and team in meaningful ways autonomous to the obligations of this project, I had to be able to define sound personal boundaries. As a nod to Steven Covey’s 7 Habits of Highly Effective People2 and many other leadership books, I investigated my own passions, interests, and long-term vision – yes, to include my life as a whole - to set my personal roadmap. Clarity of vision not only provides a source of renewed passion and tenacity, but it also helps you to distinguish and communicate the work that you must do from what may not matter as much. In the book Better Together : a Little Book of Inspiration by Simon Sinek (famous for the viral video on millennials in the workforce), the author talks about the concept of “finding a vision” for your work. Sinek argues that there is a misperception that everyone should have or make up a unique vision - when really it is okay to find and follow an existing vision that resonates with you. I agree. Once you have a sense of your personal roadmap, the next step is to understand where those convictions align with your organization’s vision. Discuss with your boss how you see the vision and your part in it. This goes far to build trust and motivate. The importance of communication within a team, or in any relationship in life, is immutable, well-known, but difficult. In my role, most communication is done in remote meetings. When most of your team dialogue occurs without eye contact or body cues, relies on the mute button, and startles with the occasional baby coo, dog bark, and Starbucks barista, it can be difficult to gauge whether you are creating a culture of clarity, energy, and action. While there is no simple fix to creating positive, inclusive, and effective communication across a team and beyond to stakeholders, I strongly believe that a big part of a manager’s role lies in maximizing meetings. Meetings get a bad rap. There are plenty of great office memes that I wanted to insert here. But in my experience, getting meetings right is critical. When done well, it is hard to identify a better return on investment. They nourish team culture and offer a nursery for productivity. This short book is a great resource for improving meetings. I also have a few golden rules of my own. Your own rhythm: Don’t fall for the lure of the recurring meeting. They are stable and comfortable, but passionless. Meetings can have some consistent structure or guiding questions, but for the most part, they should be original each time. Yesterday’s meeting is not what you need today. Active agenda: Consider carefully what to discuss. Send an agenda with time allocations for specific topics in advance. Know who and why each member is participating. Factor in team and personality dynamics as you work through topics. Then, get to the point and don’t beat around the bush. Nobody enjoys wasting time. The Hard Thing About Hard Things: Building a Business When There Are No Easy Answers by Ben Horowitz offers a lot of comparisons to private sector intelligence. Horowitz, a leading Silicon Valley entrepreneur, offers advice on making start-ups succeed and offers non-traditional business advice. One of the most impactful concepts I took from this book was on training. Horowitz argues that managers should train their employees directly. He tells the story of when he was the director of product management at Netscape and was frustrated with an underperforming team and with the lackluster trainings offered by consultants. Inspired by Andy Grove’s classic High Output Management4, he wrote a short document titled Good Product Manager/Bad Product Manager. In a short time, his team became the highest performing in the company. When Horowitz moved on to LoudCloud, he invested heavily in in-house training and credits this with the company’s success. Horowitz’s Good Product Manager/Bad Product Manager document was surprisingly simple. It was so approachable, I decided to write something for our organization. This guidance has given us solid baseline expectations for performance management. As we grow, and attrition becomes more a part of our rhythm, this also has become an avenue to share our cultural heritage (architecture of partners, products, processes), and hopefully to maintain the integrity of the sources of our success. A lot of time management is helping people see things; putting visuals to ambiguous concepts, conveying the perspective of another organization, and taking the time to make presentations for your team. Personal rule-of-thumb: If your external partners could use a demo or educational session on your ideas/project, your team will too. One thing that I discovered early on was that my team was very open to training and development around non-technical skills, like personal growth, leadership, and soft-skills that enhance effectiveness. I think analysts who work remotely benefit particularly well with this type of exercise. For example, several years ago our team was making initial steps to divest some legacy work but struggling with how to do it without risking relationships with these same partners. At our in-service that year, I asked the team to read the Harvard Business School case study on the fateful 1996 Mount Everest expedition and prepare to discuss some questions around business decision-making. The debate and answers the team gave were surprising – and fun! I remember asking, ‘Who is our team most like - is our character more akin to the paying client or the confident guide?” Every analyst responded the same, “Neither…the Sherpa” (spoiler alert: the Sherpas die.) This story gave us words and images to discover characteristics of our collective nature and how we interact with partners, good and bad. I was nervous to introduce these topics at first. I had a pit in my stomach the night before the Everest talk. But once I saw the benefit, we added them in whenever we had time together. An area I focus on a lot is energy. It is my firm belief that analysts have a unique challenge in combatting professional burnout and fatigue.5 How they learn to manage themselves – beyond time management - and work collectively is critical to retention and job satisfaction. Sports analogies, such as periodization, are a great tool. (Check out: the TED Talk by Tony Schwartz: The Way We’re Working Isn’t Working and other content from The Energy Project). We incorporated Energy Breaks from a concept developed by Mind in Motion, a group that helps revive executives from burnout and find purpose. During long conference days, the rule is to get up and away from your computer. I’ve seen analysts use this time to call loved ones, walk, and find ways to turn random office equipment into exercise devices. People really do open. And they remember these things (although they will never admit to it). After the flight home, as the to-dos pile up, they know that you have a holistic approach to excellence. They may take the afternoon to rest or ask for help. The analysts on my team are warm, collaborative, diligent, highly capable, and self-motivated. Back to golden rule #1; get out of your own way… and everyone else’s. Take time to look back at your goals from a few years ago – how far have you come? Read through a few old books, journals, or even mementos your team may have given you over the years. You put your heart and soul into this thing; feed yourself every now and then. The hardest part can be feeling that you’ve lost your set of peers to back you up. With the transition to a management or leadership role comes the weight of new responsibilities and the isolation of making decisions solo. At times your decisions and style will be the topic of occasional office murmurs and your team won’t share and commiserate with you like they may have before. Another great concept from this book that my team talks about is organization maturity from becoming co-dependent, to independent, and ultimately to interdependent. 4 “Training is, quite simply, one of the highest-leverage activities a manager can perform. Consider for a moment the possibility of your putting on a series of four lectures for members of your department. Let’s count on three hours of preparation for each hour of course time – twelve hours work in total. Say that you have ten students in your class. Call to Action: Are You Committed To Lead? The Association of International Risk Intelligence Professionals (AIRIP) is looking to build a volunteer staff to both scale the organization and help fulfill its mission of promoting the professionalization of intelligence analysis. This is an amazing opportunity to help build something special with a globally recognized team, give back to your profession, and help advance your career by building closer and more meaningful connections with AIRIP leadership. What exactly are we looking for? You can find a list of volunteer positions below. If interested, please contact us to learn more about specific duties and responsibilities. If you are passionate about getting involved but don't see the right fit below, don't hesitate to contact us with your idea. All inquires can be sent to ryan@airip.org and elena@airip.org. I'll begin by saying what a privilege and honor it is to serve as the next President of the Association of International Risk Intelligence Professionals (AIRIP). Rachel Bode, our outgoing President, deserves both an enormous amount of credit and an even bigger thank you. From first identifying the need for AIRIP to the incredible efforts needed to see it through, she has set the stage for intelligence analysts across industries to grow and improve for years to come. Rachel has been a terrific leader and pioneer and her shoes will be impossible to fill. Luckily, Rachel will continue to serve as an AIRIP Board Member where I will certainly lean on her for wise counsel during my term. Speaking of wonderful leaders, also help me in welcoming Elena Carrington to the leadership team as Vice-President! I've known Elena for a few years and I'll just say that we are extremely lucky to have her. In the coming weeks we hope to pick up where Rachel left off and help take AIRIP to new heights. So, what will the coming weeks bring for our AIRIP members? For starters, we'll continue to provide thought leadership and great events. We'll be co-hosting a webinar on supply chain risk on September 19th and we have a couple of events planned (details coming soon!) during OSAC week (Tuesday, November 14th). Our mentoring program was a big hit so we're bringing that back and we may add a new twist- a few reverse mentoring opportunities. We're also in the early stages of planning our first ever Global Intelligence Forum which will take place next June in Chicago. In addition to the training and events that you've been accustomed to, we're looking forward to expanding on our value proposition to create new and exciting opportunities for our members. In order to do this, we're definitely going to need your help! Therefore, we will be recruiting and assembling a team of people who are excited about the organization and committed to its cause- those who can assist with the planning and execution of AIRIP initiatives while also serving as our brand champions. The positions will vary but if you're interested in serving in some capacity, please don't hesitate to let us know right away. Expect to see position descriptions and advertisements in the next few weeks. In closing, I can't wait to get started and don't hesitate to let Elena or I know how AIRIP can better serve you as intelligence professionals. Additional communications on a variety of AIRIP topics will be coming soon. The Association of International Risk Intelligence is excited to announce that the Board has named a new President and Vice President of the organization. Ryan Long, Intelligence Manager at McDonald’s will serve as AIRIP’s President. Ryan began his corporate career at McDonald’s in 2011 as the company’s first intelligence analyst where he helped architect and launch the Risk Intelligence function. He currently serves as the Director of Global Risk Intelligence which provides strategic decision support, issue and crisis management expertise, and threat and risk analysis on issues and incidents of potential impact to the organization's people, operations, strategy, and brand. Before arriving at McDonald's, Ryan was an Army intelligence officer focused on counterinsurgency and counterterrorism operations, serving in both active and reserve capacities including multiple combat deployments to Afghanistan and Iraq. Ryan currently serves in the Army Reserves where he leads a group focused on analytic support to European counterterrorism efforts. A Veteran advocate, Ryan is the Chair of the McDonald’s Veteran Employee Resource Network and a board member of the Veterans Leadership Council, the nation's premier business network for the current generation of Veterans. He also serves as an associate board member for the Greater Chicago Food Depository. Ryan has a bachelor’s degree with Honors in Political Science from the University of Illinois at Urbana-Champaign and a law degree from The John Marshall Law School in Chicago. Elena Carrington, Intelligence Manager at Square will serve as AIRIP’s Vice President. Elena Carrington manages the travel security and geopolitical intelligence portfolio for Square, a mobile payments company based in San Francisco. Prior to this role, Elena provided strategic and tactical analysis during tenures with United Airlines, the U.S. Department of State's Overseas Security Advisory Council (OSAC), and the International Monetary Fund. She has a bachelor's degree in history and a master's degree in international affairs. John Goldener: John Goldener is Director of Client Engagement for Crumpton Group, LLC, where he leads efforts to design intelligence-led engagements for private sector Clients in international markets. He was previously Director of Research and Analysis for the company, where he ran a team of analysts and global collectors that produced comprehensive, customized assessments and intelligence services, created in-house and embedded intelligence programs, and designed training and tradecraft curricula for analysts. Marissa Michel: Marissa serves as the US Territory Crisis Lead for PwC's Global Crisis Center – a global virtual hub of excellence for all aspects of risk and crisis response; a team of crisis experts who access and convene the best skills, experience and knowledge from across our worldwide network of member firms in 157 countries to help organizations prepare for, respond to, and recover from the crises they face. She operates within PwC's Forensics Services/Strategic Threat Management Group, where she is also the operations director, and this vantage point gives her a view across the firm's broad capabilities that can be brought to bear on their clients in crisis. DeNeige Watson: DeNeige (Denny) Watson spent most of her career as an intelligence analyst at the CIA. Denny has been the Executive Director of the RiskDesk at RANE (Risk Assistance Network + Exchange) since February 2015 where she leads a team of analysts who provide integrated global risk analysis and services to clients. Denny also is currently an adjunct faculty member at Georgetown University, where she teaches a course in critical thinking in analysis, as well as George Washington University where she taught a course in data analysis and cyber security. The board is excited for this next chapter in growth for the organization. Ryan and Elena have many ideas for events, member engagement, opportunities for members to serve on potential committees and more. Please join us in welcoming them! AIRIP’s entire leadership team can be found on our website at www.airip.org/leadership. AIRIP member, Joseph Slattery, is an embedded contractor for a leading technology company where he manages the Executive Security Operations Support program. The program consists of real-time intelligence monitoring and operational support for the executive protection and event risk management teams. Previously, he served 6 years in the United States Navy as an Operational Intelligence Specialist, where his role ranged from Maritime Interdiction and Security Operations to Cyber Intelligence. Further, after his military service, Joseph worked in law enforcement and casino surveillance. Throughout the Close Protection Community there has been growing interest and discussion in the value of using Intelligence. While the ongoing focus has centered around Strategic and Protective elements of Intelligence, an equally important element is Operational Intel. Operational Intel (OPINTEL) is the continuous monitoring and gathering of information from multiple sources to create intelligence that is directly related and impactful to an ongoing operation occurring in real time. A dedicated OPINTEL team serves as a single entity for real time operations support which bridges the existing gap between a problem and the solution. Maintaining Operational and Situational Awareness is critical for OPINTEL as it serves the function as being the all-knowing team in relation to time and space for assets, events, and details. Operational Intelligence Monitoring should provide real-time monitoring of media reports that occur in the areas of operation. This should entail a continuous, collaborative effort to search for any reporting that may negatively impact an ongoing or future operation. OPINTEL should be a trusted source for all agents acting as a single point-of-contact to directly resolve issues. In the event that an issue needs to be escalated to other groups, OPINTEL ensures follow through, tracking the outcome, and reporting back to necessary parties. Reach Back Availability allows access to all levels of resources, efforts, and solutions in a streamlined and timely manner. To successfully implement an OPINTEL program, consistent training including OPINTEL Analysts and Agents would be highly recommended. Training would allow for the opportunity to establish trust, have parties become cross-trained for a better understanding of individual roles, and to allow for context and communication. It is the hope that this piece will be able to serve as a conversation starter, how can OPINTEL serve your team? The goal is for OPINTEL to be the single escalation point for Agents or Analysts to turn to when they need information, answers, and real time reporting. This is a guest post from AIRIP member, Teyloure Ring. Teyloure is an embedded contractor at a leading technology company where she is the strategic planner for the executive protection, event risk management and intelligence teams. She holds a Master’s degree in International Studies: Russia, East Europe and Central Asia and a certificate in International Development Policy and Management from the University of Washington. Her graduate research detailed the integration of cyber tools in Russian information operations and the value of cybersecurity public-private partnerships in emerging markets. First, thank you to everyone involved in making the AIRIP mentor program a success! I found my participation in the program to be extremely valuable. Fresh out of college and new to risk intelligence, I entered the program wildly passionate about research and utterly lost in corporate America. Utterly lost may be an exaggeration, but the transition from academia to private-sector intelligence proved challenging. Discussion around careers in risk intelligence is limited in the academic community, particularly regarding private-sector employment. I expected my post-graduation career path to follow a handful of trajectories. Nobody tells you, or perhaps I lacked the intuitiveness to discern, that in reality – picking a career in risk intelligence is much like a hyperbolic version of Frost’s “The Road Not Taken.” Rather than two, it feels as if 47 roads diverged in a wood, and each is equally as enticing – bringing the esoteric security concepts of academia to the boardroom. Going into the mentorship program, I knew I wanted to continue my career in risk intelligence, but I was entirely unsure how or what direction I wanted to go. I had the opportunity to meet with my mentor, Jessica, in person on several occasions in addition to our regular phone and email exchanges. Hearing about her experiences and the uncertainties she felt throughout the course of her career was not only insightful but comforting as well. She offered a wealth of information and advice that only someone in her position could, advice from someone who had done precisely what I hope to do. In our first conversation, I detailed my personal and professional interests as well as my job description. While these topics consumed my daily life, I had compartmentalized my interests so that mentally I had a box for personal cybersecurity research, a box for personal Russian studies, a box for work strategic planning and so forth. Jessica pointed out that my current job responsibilities did not reflect my passions in risk intelligence. This truth was something that I had either unknowingly or subconsciously been avoiding. However, Jessica quickly followed-up with advice. She explained that a lot of us are in new positions, positions that nobody has held before and that there are positions yet to be created – particularly in cybersecurity. My dream job, applying my background in post-Soviet studies to understand cybersecurity threats, is not a current position at my place of employment - because of funding constraints and current institutional organization. The need for similar positions is agreed upon by a growing number of professionals. Jessica put me in contact with a gentleman who started and runs one of the only private-sector fusion centers bringing together cybersecurity experts and intelligence analysts to address cyber threats. Conversations with him were extremely helpful and I was able to take back what I learned to my home organization. Luckily for me, I work under a boss who is supportive of my cybersecurity interests, and we have been working with other teams in the enterprise to bring together cybersecurity experts with our team’s intelligence analysts. While progress is slow, we have established working relationships and have identified future areas of collaboration. Jessica’s advice was reassuring in that while the job I want may not be a current position, there is support work I can do in the meantime. I have since met with individuals working on cyber threat intelligence issues and am confident that soon we will produce joint intelligence products. These are simply a few highlights of my experience with the AIRIP mentor program. The program’s short duration forced me to articulate my career objectives, aspirations and concerns. This simultaneous retrospective and forward-looking evaluation of my career in risk intelligence is precisely what I needed to reorient, re-energize and confidently move forward. I highly recommend the program for anyone working in risk intelligence! This post was written by AIRIP Board Member Jessica Hern, Risk Intelligence Manager at 3M, and AIRIP Member Eric Boger, Vice President of Global Intelligence at iJET. Over a two-day period in mid-September 2016, a working group of industry professionals came together to discuss the feasibility and desirability of establishing a credentialing program for risk intelligence professionals. While all agreed it would be a challenging endeavor, it was unanimously decided that such a program would advance and elevate the risk intelligence analysis profession and it should be a priority for AIRIP. The working group assessed that a credentialing program could help establish a common vernacular, a collective and acknowledged set of standards and processes, and serve as a milestone to enhance the legitimacy of the risk intelligence analysis profession. Further, a credentialing program would give hiring managers additional confidence in the skills of credentialed applicants and career development opportunities for new analysts. The working group began the process of identifying key skills, knowledge, and competencies a professional risk intelligence analyst should possess. To guide the sessions, the working group used the intelligence cycle as a framework. The brainstorming session highlighted substantive differences in how the intelligence cycle is used (or not used) in various industries that employ risk intelligence professions. For example, military and governmental risk intelligence professionals’ processes can be very different than academic, private sector, or NGO processes. These differences, and the fact that many risk intelligence professionals move between sectors at various times in their careers, highlight the need for any truly valuable credentialing program to be inclusive of differences in industries. The working group concluded that AIRIP would serve as a credible and appropriate body to develop and administer a professional credentialing program for risk intelligence analysts. AIRIP’s members come from many industries and AIRIP is prepared to develop a well-respected, meaningful credentialing program that will elevate the risk intelligence profession. This program is a high priority for AIRIP and our board, but it will take time, support, and involvement from our members. The working group focused on the end of 2018 as a target date for our first test – we believe this timeline is achievable based on other credentialing programs with whom we benchmarked. To be successful in this effort, AIRIP requires time, assistance from interested members, and funding that AIRIP has not yet identified. 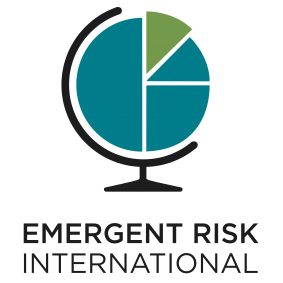 Are you passionate about career development in the risk intelligence profession? Do you have time to devote to a credentialing project? What ideas do you have? Are there credentialing programs that you have enjoyed or disliked that could assist us in developing this program? Even if you don’t have time to devote to assisting us, we’d love to hear your suggestions. Do you know people who would like to get involved? Does your university or professor have an interest in this topic and might be interested in partnering with AIRIP? Would you or your company like to donate funds to support the development of a credentialing program? What key performance areas would you consider essential to the trade of being a risk intelligence analyst? Reach out to AIRIP via our contact us form with your ideas or to learn more about participating or donating. What does a Risk Intelligence Analyst do in a non-profit organization? This is a guest post by AIRIP member Shana Tarbell. Ms. Tarbell is the Deputy Director for Risk and Threat Analysis within the Global Security Team at the Bill and Melinda Gates Foundation. She has 18 years of experience in the federal government crafting and overseeing intelligence analysis on a range of issues and countries, and has been in the non-profit sector for a year and a half. The Bill & Melinda Gates Foundation is the largest private foundation in the world with roughly 1500 employees and an endowment of over $40 billion. Guided by the belief that all lives have equal value, the Foundation works in developing countries to improve health and give people a chance to lift themselves out of hunger and extreme poverty. In the United States, we seek to ensure that all people—especially those with the fewest resources—have access to the opportunities they need to succeed in school and life. To accomplish these goals, we fund about $4 billion in grants and innovative partnerships per year, often taking financial risks that governments and the private sector will not or cannot take. The Foundation’s headquarters are in Seattle, and it has offices in Washington, DC, London, Beijing, Abuja, Addis Ababa, Johannesburg, and New Delhi and Patna, India. I came to the Foundation last summer after 18 years producing and overseeing intelligence analysis on a range of issues in the federal government, and now serve as the Deputy Director for Risk and Threat Analysis within the Global Security Team. I was drawn to the non-profit sector by the prospect of being able to bring my analytic skills and management experience to bear on a different, but equally compelling mission. There are many similarities between the analytic work in the government and the non-profit sector, to include a need to develop a solid understanding of the needs of your audience, to craft clear intelligence questions, to ensure that analytic judgments are well supported and to write in a clear and concise manner. The team I lead has a brought set of responsibilities and a diverse customer set, ranging from working-level colleagues in the Foundation’s support units to the senior leadership of the programs that are directly engaged in carrying out the Foundation’s mission around the world. Risk to Overseas Travelers and Offices. Foundation personnel travel to and in some cases live in far-flung regions of the world, where they gather information to best target resources, oversee grants, and consult with partners. Often the locations with the greatest need are in countries facing the greatest security challenges. Our job is to produce assessments of the risks to Foundation travelers and local operations, which can trigger additional security protocols, or potentially lead to a decision by Foundation leaders that the risks outweigh the benefits of travel to a particular destination. Our analysts scour open-source information, consult with Foundation personnel in our regional offices, and compare notes with counterparts in other organizations and with other experts. Political and Security Challenges. In addition to assessment immediate threats to Foundation personnel traveling to or living in an area, our analysts work to identify relevant political and security developments and emerging threats in a country or region that may have an impact on Foundation staff, operations, or grantees working there. For example, we recently produced a piece highlighting the implications for Foundation operations of the leadership split in Boko Haram. Our flagship product is an annual assessment of the anticipated security challenges over the next year in each of the countries in which the Foundation is operating or considering operating. Its publication is timed to support the program offices’ annual strategy development process. Persons of Interest. Our team assesses the risk from individuals who have demonstrated a potentially threatening interest in or attitude toward the Foundation and its staff. We track and review their correspondence and communication with the Foundation, looking for indicators that the latest research in this field tells us might show signs of escalation toward an imminent violent act. When a potential threat is identified, we work closely with our partners in the Security Team and our legal department, and with local and Federal law enforcement to take appropriate steps to mitigate any threat. We produce a monthly summary of the most important cases to enhance the situational awareness of the Foundation’s Chief Operating Officer and the General Counsel, as well as other members of the legal and Security Team. Opposing Voices. The Foundation’s humanitarian efforts have earned it widespread respect and support, but some groups oppose various aspects of its work or investments. Most often these views are expressed peacefully, but it is our team’s job to look for signs that a group or members of it might be planning to commit violence or to physically disrupt Foundation offices or operations. When such signs emerge, we alert Foundation leaders and we work with our guard force, other security elements, and law enforcement to ensure that appropriate security measures are put in place. Due Diligence. As part of the Foundation’s processes for choosing grantees and making other investments, we look for reputational concerns or violations of US international sanctions and corruption regulations. New Hires. In collaboration with human resources, we manage the Foundation’s background screening process. We verify that candidates have represented themselves honestly and assess whether an applicant might pose a security, behavioral, or financial risk. This material is provided for information purposes only and does not represent professional advice. We make no representation or warranty as to the accuracy or completeness of the material and do not undertake to keep recipients advised of relevant developments. This material should not be relied upon to validate, endorse, or recommend any particular data, product, service, methodology, or organization, whether named or not. Accordingly, we expect you will consult competent professional advisors, as you deem necessary, when evaluating and utilizing this material. The Bill & Melinda Gates Foundation shall not be held responsible for any claims or losses that may arise from any error or omission herein. What does a Risk Intelligence Analyst do? When people ask me what I do, my reply -- “I work in global security intelligence for a major medical device manufacturer” --is often met with a nod and an “OK… what does that mean?” Fair question. In my previous job in national-security intelligence, people usually assumed I was a spy. Or they feigned understanding when I told them that I analyzed political and military developments in South Asia and the Middle East. At the federal level, intelligence analysis typically focuses on a particular geographic, functional, or technical topic. Federal analysts will zero in on a small slice—national governance, security ministries, or orders of battle—of a larger problem set, such as a country or region. In the private sector, the role of the risk intelligence analyst may vary, but the analyst is likely to have broad responsibilities, ranging across all aspects of a corporation’s interests. In my job at SJM, one day may resemble another but rarely are those days consecutive. In just the last several months I have written products on security and business implications of impeachment proceedings in Brazil; assessed the Brexit; researched potential physical and data/IP implications of Pokemon GO™; crafted due diligence and country risk assessments; consulted with travelers heading to volatile areas; prepared incident notifications to our Crisis Management Team, and, from my dining room table, supported travelers in emergency situations. And these are just a few of the varied tasks that fall to our team. The small intelligence staffs of the private sector account for the broad range of their responsibilities. In government, I was one of several thousand analysts at my agency, in an intelligence community of 18 member agencies. Now, I am one of two with intelligence responsibilities in a global security unit that totals fewer than 20 and supports an organization of over 18,000 employees. At its core, the role of the risk intelligence analyst in the private sector is to enable the conduct of business, through proactive identification, assessment, and mitigation, of risks facing company personnel, facilities, and operations around the globe. Daily duties include supporting travel security and assessing geopolitical and security risks facing the company, as well as tasks from other segments of the business, with a healthy dose of responding to emerging events or terrorist attacks. Questions that don’t have a clear answer wind up on our desks. A major challenge for the private sector analyst is providing solutions that enable business to be conducted. Some risks could be easily eliminated or mitigated by simply declaring an area off-limits, but the requirements of business—or research, or international aid—rarely allow for such a simple solution. Instead, we strive to offer solutions that allows operations to continue without exposing the organization or its people to undue risk. One constant from government to the private sector is reading and writing. Another is the value of a network of contacts. Despite what the movies depict, most intelligence analysts are keyboard warriors, spending large chunks of their days researching and writing assessments and briefs. Risk intelligence analysts largely consume open source information, news media, and vendor curated information. Just as important, they interact with counterparts across industry, government personnel, and, when appropriate, leaders within the business. In my experience, these relationships are invaluable. Although vendors or government sources often have excellent information, even richer information will come from people on the ground or from talking through a difficult situation with someone who has faced similar challenges. Distilling this information into a written product that adds value or raises awareness of potential risks—before they become real problems—is a core mission of the risk intelligence analyst. Written products can vary greatly by organization. Some teams may have a regular recurring product line supplemented by special requests while others may purely react to questions from the business. Perhaps the greatest opportunity for a risk intelligence team is to anticipate questions and have a written product available for leaders before they can ask for it. Like government and military leaders, senior executives do not have time to read 30-page reports on the latest developments in a country or region. Providing the bottom line, up front (BLUF)—why does this matter to me or to the business?—is key. At SJM, our written products have ranged from 12-15 page comprehensive risk assessments on priority countries to short, one-paragraph assessments on a developing incident. Most of our products -- on topics such as Brexit or the security environment following a major attack -- will be two to three pages at most. Incident notifications and post-event assessments will also be posted on our internal travel security pages for use by future travelers. For executive, high-risk, or complicated travel, we prepare tailored travel briefs with safety and security information, specific guidance, and practical travel information. But whatever the format, providing answers to the ‘so what?’ questions the CEO or business units may have allows them to make strategic decisions. Additionally, in crisis events, being able to quickly provide insight and nuanced assessment of impacts to the business can provide leaders with a major advantage as they consider employee and company safety and shape the company’s response to disruptive, dynamic global events. Sam Talbott is a Global Intelligence Analyst for St. Jude Medical, in St. Paul, Minnesota. Prior to joining St. Jude in May of 2015, he spent nearly four years as a political/military intelligence analyst with the Defense Intelligence Agency at US Central Command. While at CENTCOM he deployed to Afghanistan in support of Operation Enduring Freedom and served on the command briefing team, presenting daily intelligence and operational updates to the CENTCOM command staff. Before working in intelligence, Sam traveled widely while working in business development for a major educational assessment organization. He is Vice Chair of the Midwest Regional Analyst Roundtable (MRAR) and an AIRIP member.